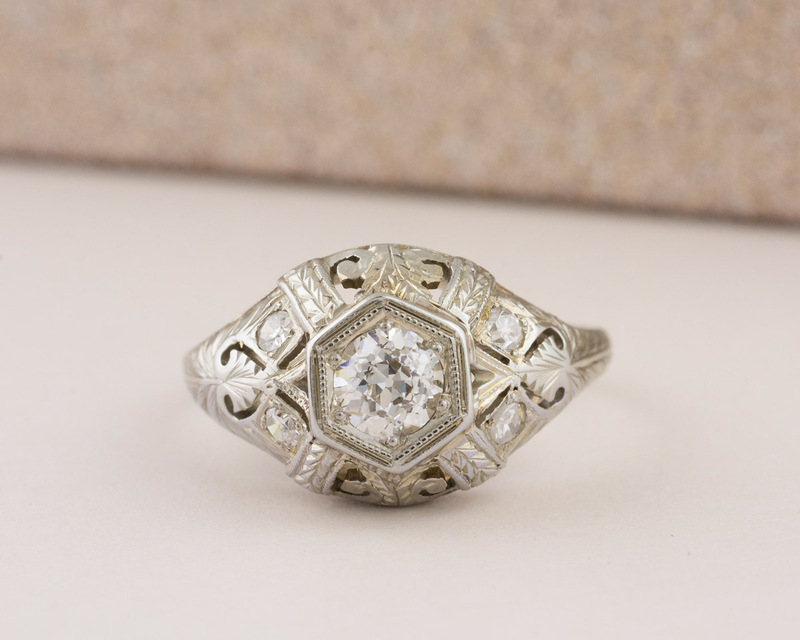 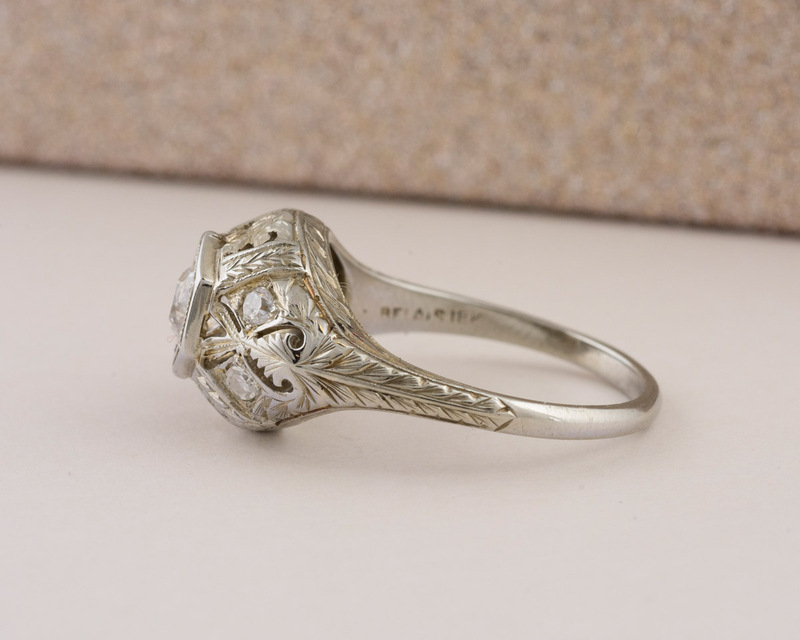 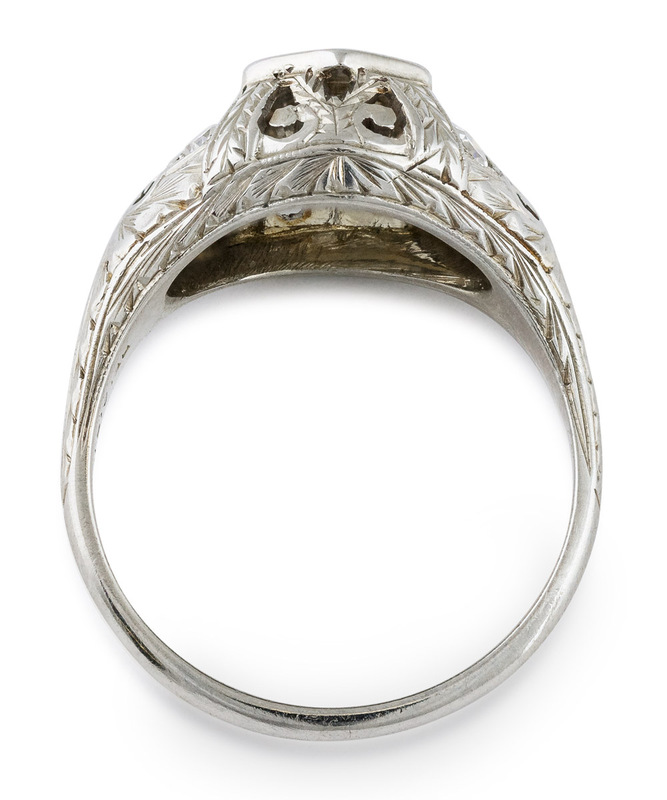 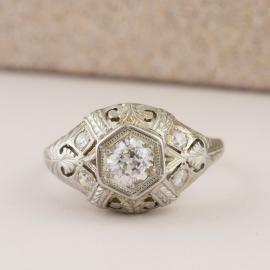 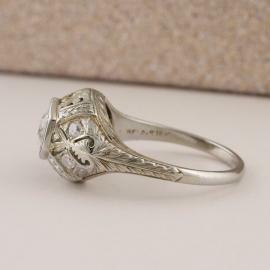 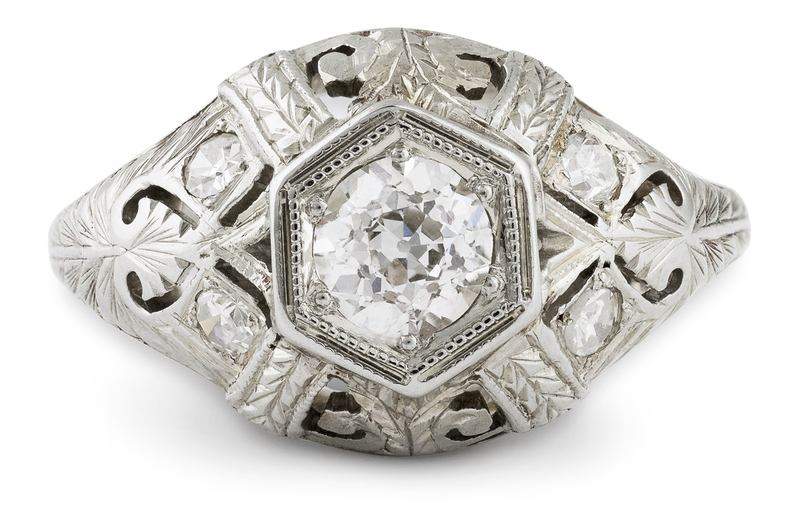 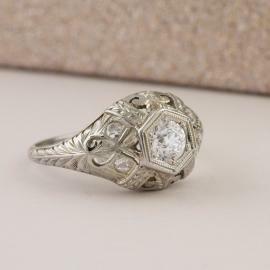 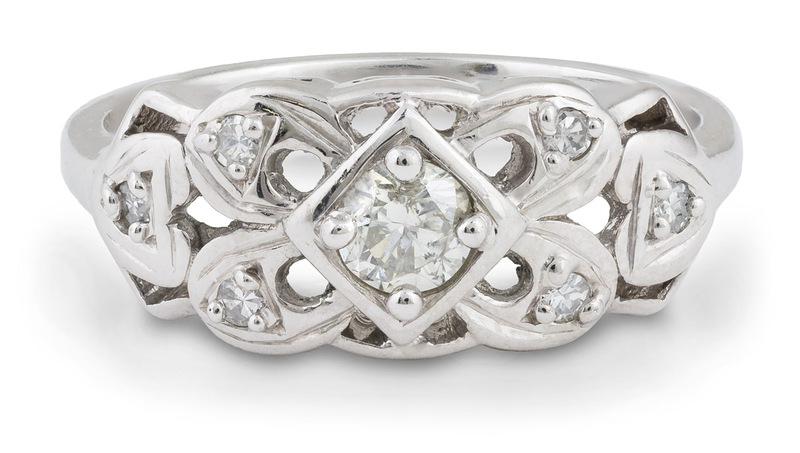 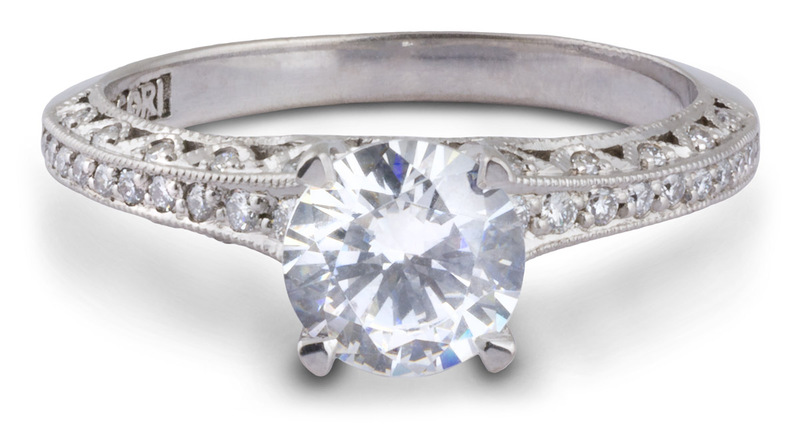 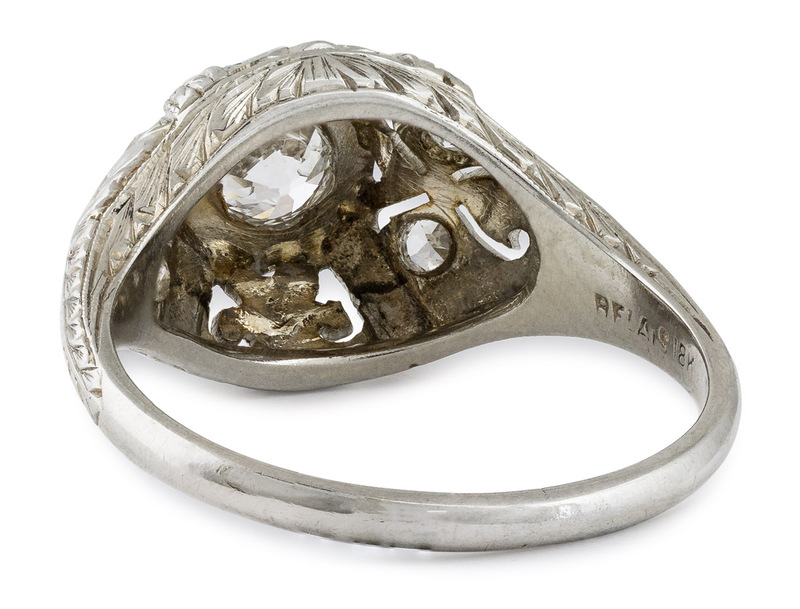 This elegant antique ring was made in the early 1900’s. 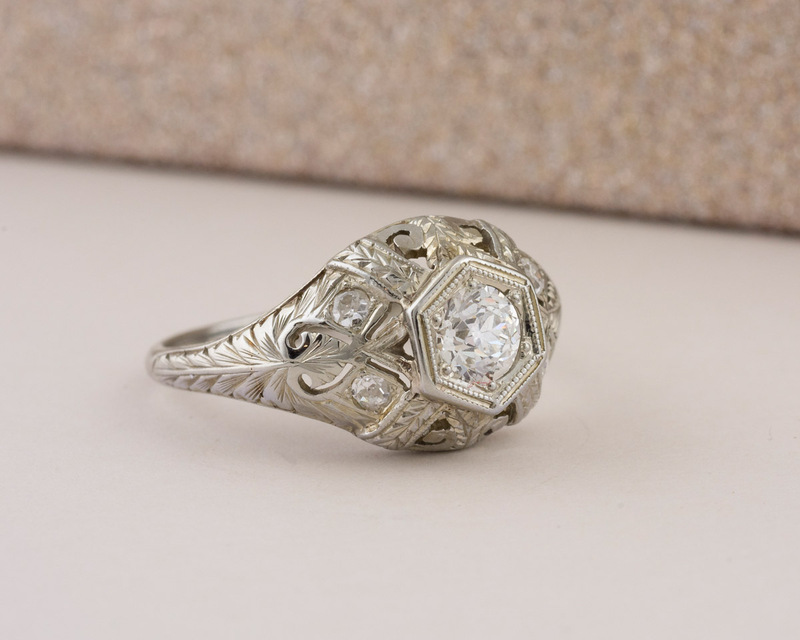 The Old Mine cut diamond is accented with an intricate filigree design, and four single cut diamonds. 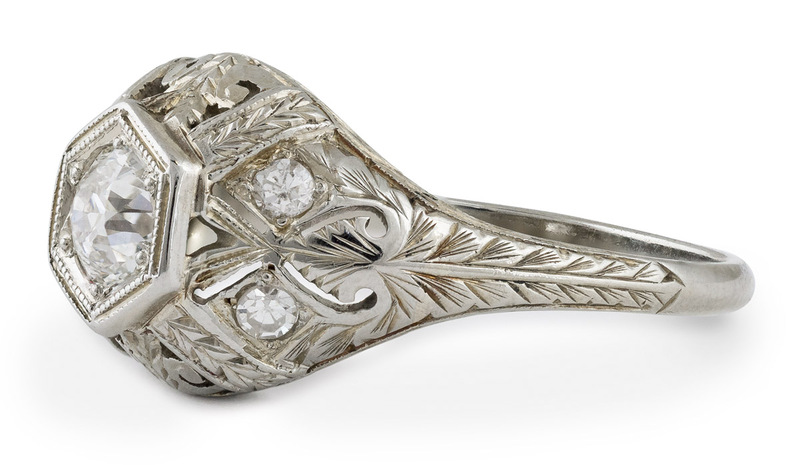 The perfect piece of jewelry for all lovers of the Art Nouveau and Art Deco periods.